Vivo, a young leading global smartphone brand known for its known for its commitment in bringing advanced technology and stylish products to consumers, just recently dominated the spotlight with the launch of the Vivo V7+. The Vivo V7+ is a new addition to the V series and promises to be a powerful shooter with a all-screen display. Equipped with advanced technology including Vivo’s fingerprint 24MP front-facing camera and a 16MP rear-facing camera, this phone is known for its exceptional photography features, screen quality and the overall product design. Vivo V7+ was launched last September 20 was graced by a roster of the most renowned and celebrated faces from Philippine showbusiness lead by the much-adored love team of Kathryn Bernardo and Daniel Padilla. 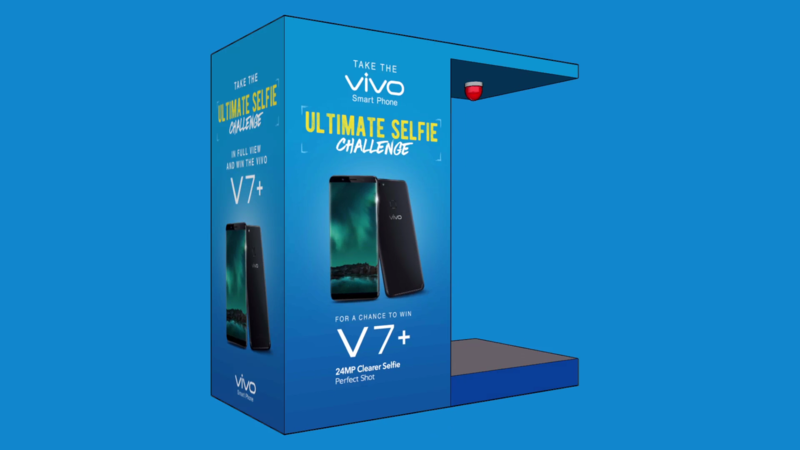 To further promote the Vivo V7+ to its audience, Vivo mounts an activation entitled the Vivo Ultimate Selfie Challenge. The challenge aims to bring the V7+ closer to the selfie-obsessed crowd by highlighting the phone’s 24MP clearer selfie front camera and all-screen display. The Vivo Ultimate Selfie Challenge has three levels which a challenger needs to all pass to get the ultimate prize: a brand new Vivo V7+. The challenger will stand in front of a Vivo V7+ phone unit. The challenger has 7 seconds to pose for a clearer selfie where all he/she need to do is take a perfect selfie. The challenger has 77 seconds to convince 2 random people at the mall to join him/her for a Lucky 3 Groufie shot. All three people including the challenger will fit in the V7+ frame for the Groufie shot. The challenger has to stand in front of the Vivo V7+ phone. A random wacky picture will pop on the screen. The challenger has 7 seconds to look at the picture and imitate the pose. After the 7 second mark, the challenger should hold his/her selfie pose and maintain it for 7 minutes! Speaking of the the V7+ and Vivo’s V series, Vivo has also recently unveiled another new offering just this November: the Vivo V7. The Vivo V7 promises to be a powerful shooter with an all screen display. Practically much like its predecessor the V7+ albeit with a more affordable price tag, V7 has 24MP clearer selfie camera, and an all screen 5.7-inch display. The V7 is the result of Vivo’s on-going effort in understanding the needs of today’s young people, as the company continues its growth trajectory and international expansion by providing stylish and dynamic products to more consumers to show off their individuality and capture memories that is worth remembering. Catch the Vivo Ultimate Selfie Challenge at malls near you. Beat all three levels and bag a new Vivo smartphone as your prize—truly the best gift anyone can have this Christmas. The Vivo V7 is the newest addition to the V series and promises to be a powerful shooter with a ALL Screen Display. Equipped with advanced technology including vivo’s fingerprint 24MP front-facing camera and this phone is known for its exceptional photography features, screen quality and the overall product design. Easy to bring along as it fits right in your hand and pocket, the Vivo V7 makes for a perfect travel buddy. 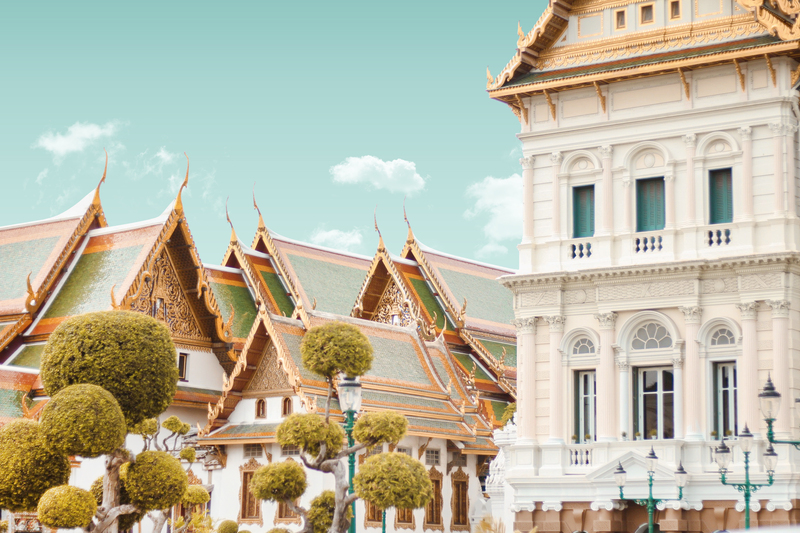 The V7 is the result of Vivo’s on-going effort in understanding the needs of today’s young people and their pursuits which include culture, food, and travel. Take photos anywhere you go and expect clearer, natural-looking selfies with rich-colored backdrops of your favorite destination. The V7 reinforces Vivo’s leadership in selfies with its 24MP front-facing camera, which produces crystal-clear selfies. By keeping true-to- life color and contrast and a clear background at all times, V7 allows users to express themselves truly anytime, anywhere. To most people, a scent isn’t just a fragrance — it’s a memory. These nostalgic ties aren’t just a coincidence. There’s a science behind why we cherish these aromas. Aside from their memory-inducing powers, certain scents can also do amazing things for our mind and body. From stress relief to headache relief, certain aromas have a way of making a positive impact to one’s self. JAC Tripon, a marketing practitioner turned scent crafter, is a firm believer in the power of aromas. It was her dream to provide the Philippine market with quality and long lasting scents at affordable prices. Exactly the reason why she decided to start FAVORI, a hand-crafted home fragrances brand that allows customers to #CreateYourFavoriteFeeling through their selected scents. FAVORI means favorite in French. It was chosen to express JAC’s desire to capture every individual’s preferred scent in each variant she designs. These are the exact words of JAC who understands that scent preferences vary depending on a person’s personality, mood, lifestyle, and specific needs. FAVORI offers a wide-variety of Aroma Oils, Reed Diffusers, Air Sprays, Soy Aroma Candles and Aroma Pouches, as well as various options for Aerators, Diffusers and Burner Devices in stylish designs. Among all their amazing products and scents I tried, their Vanilla Aroma Pouch tops my list! The moment I opened the package, I immediately smelled the scent of warm Vanilla which never fails to keep me feeling calm and relaxed. Aside from that, FAVORI scents also eliminate unwanted odors and refreshes the air with a cleansing anti-bacterial agent which is perfect for dog owners like me who stays in a room with furbabies. I am living for these stylish over-the-ear headphones with built-in microphone. 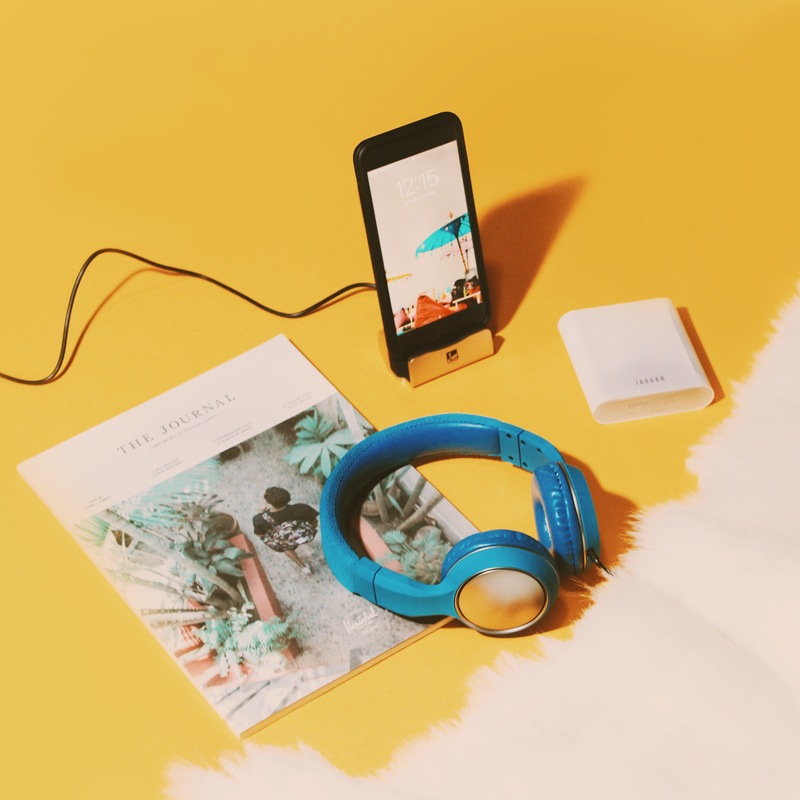 Audley StyleJam Headphones are large but lightweight; unbelievably comfortable with theater-like quality audio which is just perfect for movies (hear it to believe it!) and all music genres; combined with soft leather cushions meant to envelope your ears in comfort. The StyleJam series comes in 3 colors: Burst Black, Rose Pink, and my pick, the San Francisco Blue! The Lewis Luxury Apple Charging Dock is a refined, brushed aluminum stand designed to complement your Apple device. I just love how I can dock my iPhone to charge hands-free during speakerphone calls and FaceTime chats, or even when I’m playing my favorite tunes. I can also transfer data to my PC and based on my own observation, it fills up my iPhone’s battery faster than a regular charger. Just imagine yourself spending a vacation at your favorite beach while enjoying good music and without worrying about your phone’s battery. Get yours now and make your summer extra fun! Credits to my Digital Frontier fam for sending these awesome items to me for a review. These items are *hands-down* of good quality and I’m obsessed! Watch my April Favorites video to know more about my April faves!